Our know-how from 20 years. Patented innovations for best performance. Tested on track to be used on street. Refurbish your used ceramic discs. Welcome to REBRAKE, the specialists in refurbishing ceramic brakes! 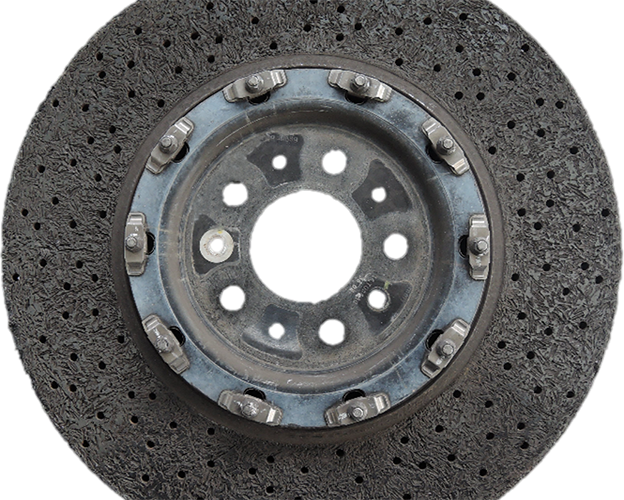 REBRAKE has the internationally unique expertise to make used and worn ceramic brake discs as good as new. The service is cost-effective and fast irrespective of manufacturer, diameter or age. 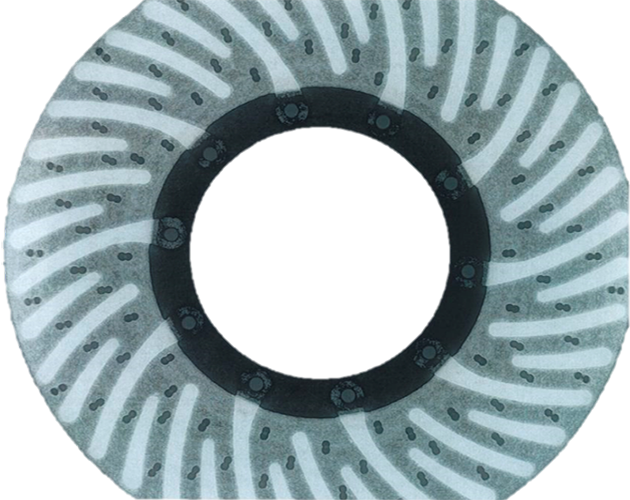 With the unique ceramic restoration technology REBRAKE, a service from FOXX Automotive, provides an efficient, cost-effective and long-lasting solution. REBRAKE generally enables you to avoid buying new and very expensive brake discs from the car maker’s replacement parts warehouse. It often costs at least 5000 Euros to replace a used brake disc with a new one. The idea behind REBRAKE’s technique is brilliant. It is executed with technical excellence. 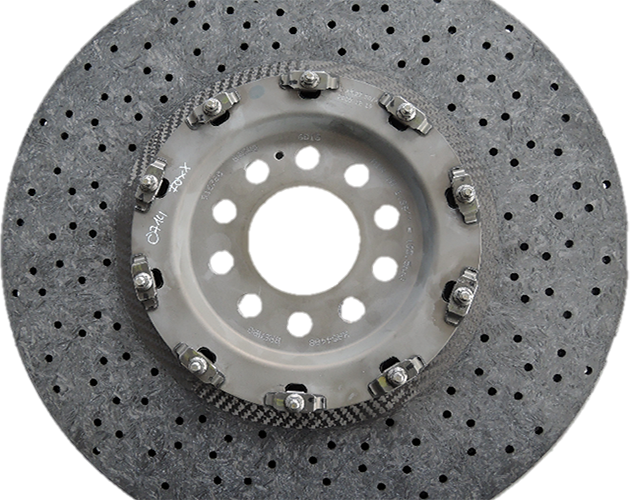 Wear of ceramic brake discs damages the surface to depths of 1-1.5mm. The core of the disc, which comprises 90% of the total volume, is generally intact and can be re-used. It is the starting material for REBRAKE restoration. The initial inspection of the worn ceramic discs sent to us is crucial. They are measured, weighed and x-rayed to determine precisely the extent of the damage and to exclude discs with cracks. Only used discs whose basic structure is faultless can be re-used. In most cases, used ceramic brake discs sent to us have only surface wear and are excellent starting material for restoration. After milling off the surface, the core is then strengthened by infiltration with a special polymer material. Layer by layer is rebuilt in several stages. The disc must be heated repeatedly to 1100 degrees Celsius in the high temperature oven. The brake disc is then siliconized at 1800 degrees Celsius to make the new surface as hard as possible. After the highly complex restoration, the brake disc is clearly heavier and has often regained its target weight. The REBRAKE restoration service gives refurbished discs the best properties, making them equal to new ceramic brake discs. The new surface’s high level of hardness makes the refurbished ceramic brake discs equal and sometimes better than new brake discs in terms of brake performance and durability. In other words: Brake discs that are restored are in no way worse than new brake discs. On the contrary, they are often better. It costs less than 1000 Euros to repair a brake disc- an investment that really pays off. REBRAKE restoration service helps carbon ceramic brake systems make a real breakthrough. Carbon ceramic brake systems come from motor sports. They are characterised by low fading and a high constant braking power with fast and precise responsiveness. That’s why the safety aspect of ceramic brakes is often cited. They’ve proven themselves under the toughest conditions in races. The special material composition of silicon, silicon carbide and carbon fibres gives the brakes thermal stability at over 1300 degrees Celsius, which is also why they have high fading stability. Then there’s the low weight of ceramic brake discs in comparison with normal grey cast iron discs. The durability of the brake discs is notable. Their lifespan is five times longer than that of grey cast iron brake discs. In normal street traffic that means up to 500,000km. Ceramic brake systems cost over 20,000 Euros depending on the model. This is largely due to the small quantities and the complex production of the components. Depending on the model, the manufacturing process for a ceramic disc can last 30 days. By contrast it takes only a couple of hours to make grey cast iron brake discs. The demand for ceramic brake systems is continually increasing. We can expect that production processes and other developments will have a positive effect on the price, even though ceramic brake systems aren’t going to be available at bargain prices in the foreseeable future. REBRAKE restoration service for ceramic brakes makes another argument in favour of ceramic brake systems. 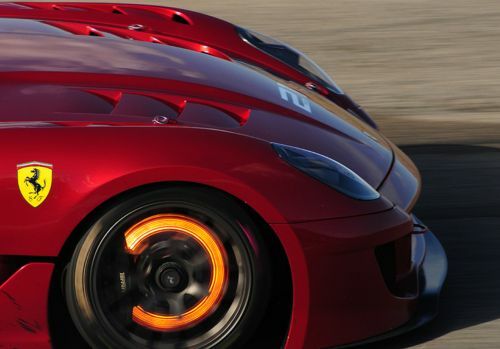 It’s good to know that there’s an effective and cost-effective solution to worn and damaged carbon ceramic brake discs.